Established in 2004 and initially known as “Hooter Hiders,” family-owned, Calif.-based Bébé au Lait is known for its patented nursing covers for chic mothers. Continuing its commitment to helping moms breastfeed anywhere in style, Bébé au Lait adds a new signature Hooter Hiders pattern (Quatrefoil) to its collection of chic nursing covers. The Bébé au Lait nursing covers let mom nurse discreetly and fashionably in public. The unique rigid neckline design allows for ventilation and direct view of baby during breastfeeding, while the generous size keeps mothers completely covered. Machine washable and 100 percent cotton, the Hooter Hiders nursing covers can also double as a blanket or sunshade for baby. The Hooter Hider also offers an external pocket for small essentials. The new design named Quatrefoil: named for its unique shape, the classic form is a representation of a four leaf clover and is said to be a good luck charm. Offered in a simple, yet striking white and black color palette, this cover is versatile and gender neutral. I loved using the Bébé au Lait nursing cover when nursing my son. The size was big enough to keep me covered but the neckline gave me a clear view to see what he was doing. 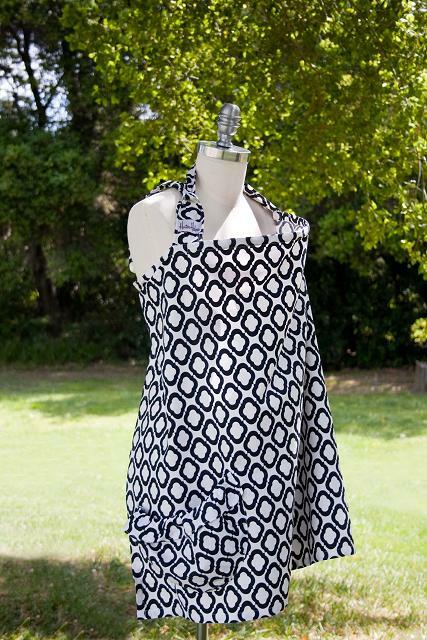 Quatrefoil is now available at Bébé au Lait as well as independent retailers for $35.00.